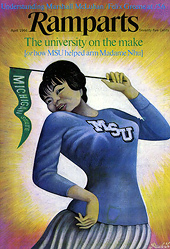 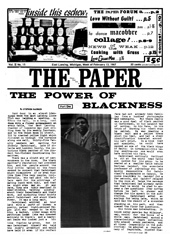 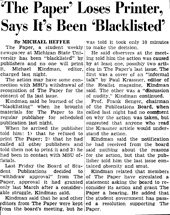 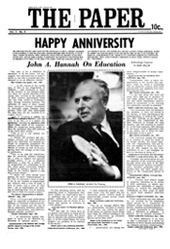 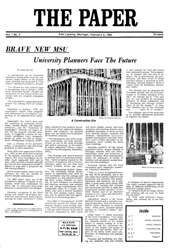 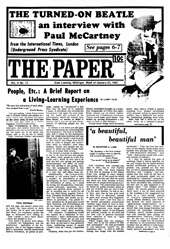 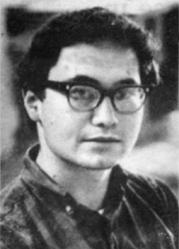 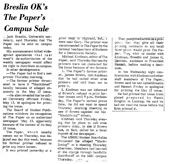 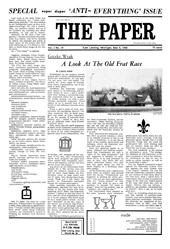 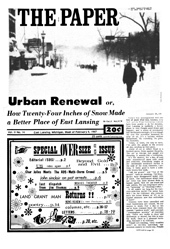 Michigan State University student Michael Kindman started The Paper in late 1965. 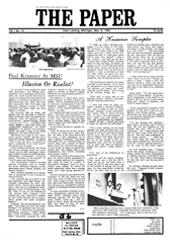 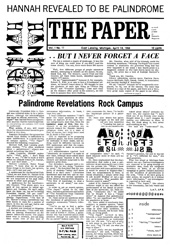 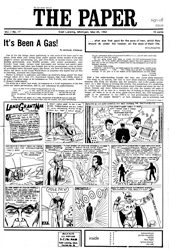 Dissatisfied with working for the mainstream State News, Kindman began a bold experiment in alternative campus journalism. 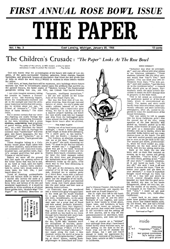 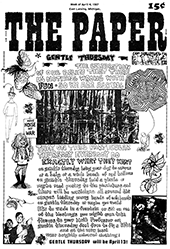 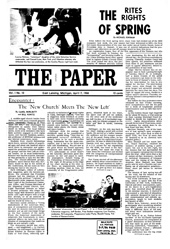 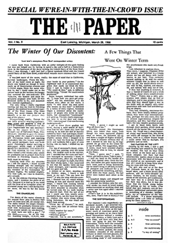 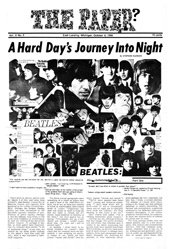 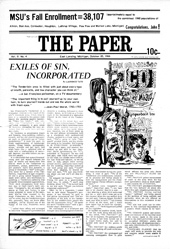 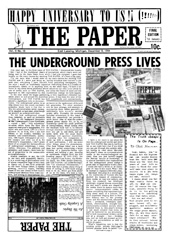 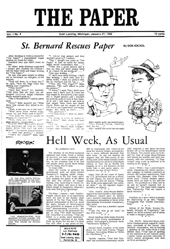 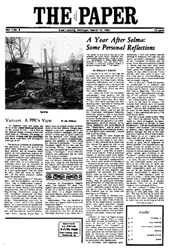 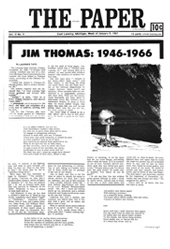 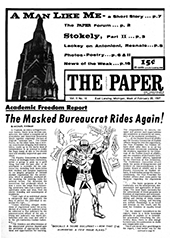 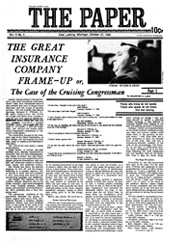 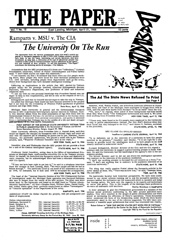 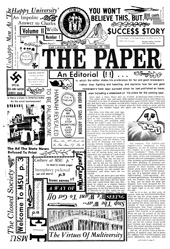 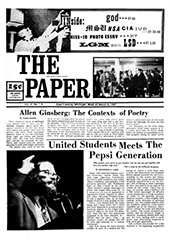 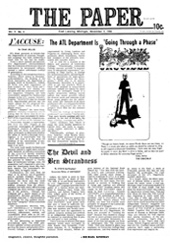 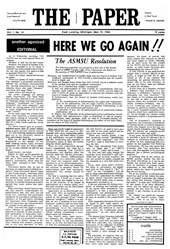 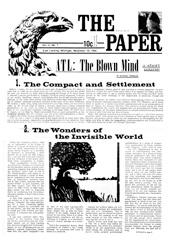 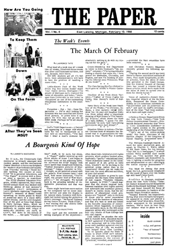 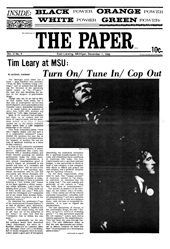 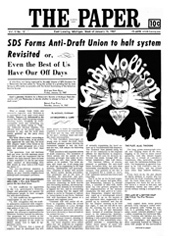 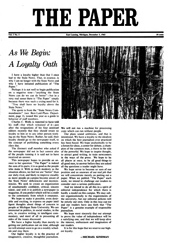 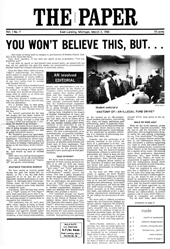 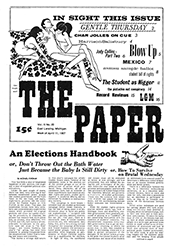 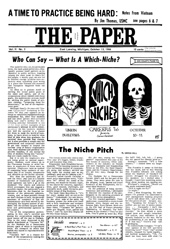 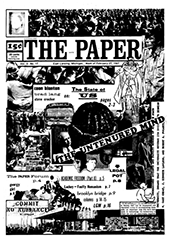 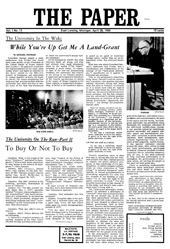 The Paper gave early voice to the nascent anti-Vietnam War movement and was a beacon of counter-culture. 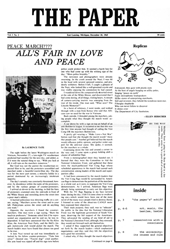 This digital archive is a work-in-progress; more issues will be added over time. 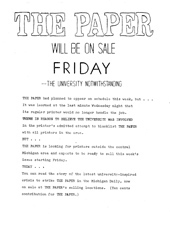 Original copies are drawn from a private source.